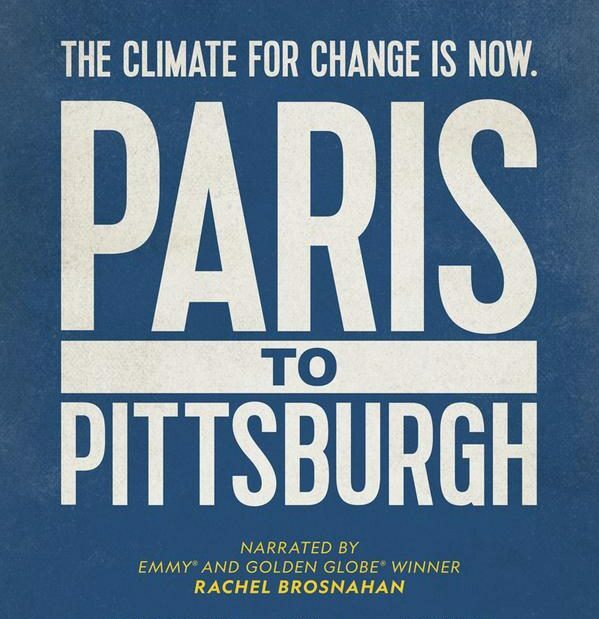 "Paris to Pittsburgh" directed by Sidney Beaumont and Michael Bonfiglio was released on National Geographic on Dec. 12. Bloomberg Philanthropies, with National Geographic, released “Paris to Pittsburgh” on the National Geographic channel on Dec. 12. Directed by Emmy Award winner Sidney Beaumont and Emmy-nominated filmmaker Michael Bonfiglio, the film documents people experiencing the impacts of climate change and the actions that they take to limit the changes, such as renewable energy. In a phone interview, Beaumont discussed his goal in creating the documentary and what he envisioned. Recently, Trump pulled out of the Paris Climate Agreement. Prior to that, he stated a motive for his actions: “I was elected to represent Pittsburgh, not Paris.” The agreement deals with greenhouse-gas-emissions mitigation, adaptation, and finance, starting in the year 2020. Beaumont has a string of past documentaries telling different stories, such as “From the Ashes,” which discusses the future of the coal industry and what it is leaving behind. The documentary covers climate change effects all over the country, not only in Florida or California or places that it may seem most prevalent. In fact, climate change affects people everywhere, not just those on the coast. Most prevalently, the movie attempts to recognize and document the young adults of America leading rallies and taking action against the harmful effects of climate change. Beaumont recognizes one of those key people in the film, Chris Castro, the sustainability director for the city of Orlando, who took the job when he was 28 years old.